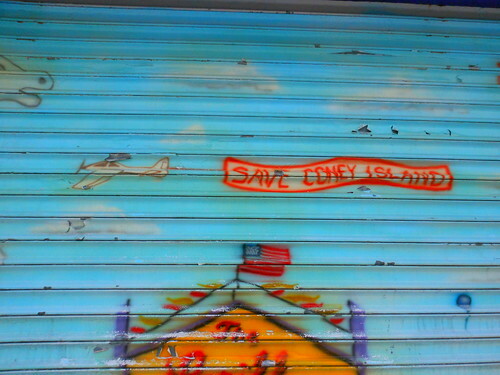 Steve Bitetzakis, the owner of Steve’s Grill House on the Coney Island Boardwalk since 1993, called off plans to have his modular building jacked up and moved down Stillwell Avenue. The move had been postponed till this week, but was called off after the restaurant owner made a deal to sell the building to Zamperla for an undisclosed sum. On Monday, workers were removing restaurant equipment and cleaning the place out. 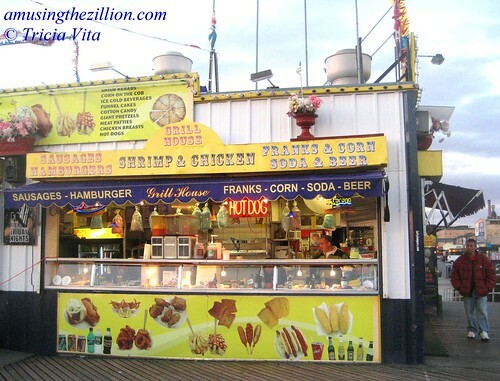 Bitetzakis plans to relocate his grill house in Coney Island, possibly with a state-of-the-art concession trailer. 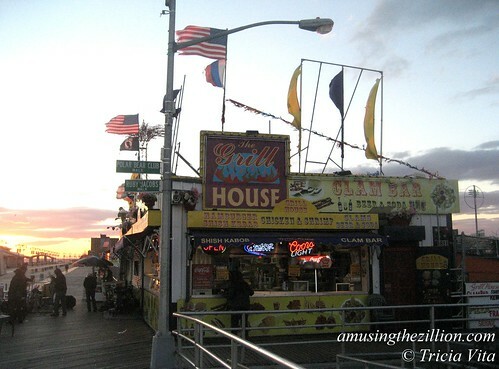 Steve’s Grill House was the last holdout of the Coney Island 8, a group of Boardwalk Mom and Pops who banded together to fight their eviction by Zamperla in 2010. Late last year, Ruby’s and Paul’s Daughter were offered eight-year leases on the Boardwalk, but Steve’s was left out in the cold. The above photo, taken at sunset on the last day of the 2010 season, is one of our favorites. The Grill House building is on land that the City bought from Thor Equities in 2009 and leased to Zamperla. It’s the site of the soon-to-be-constructed Speed Zone, where Go Karts and a Sky Coaster are part of the amusement operator’s plans for this season. Will the Grill House be transformed into a trattoria by the sea or an upscale redo of its former neighbor Beer Island? Stay tuned. Coney Island’s opening day is just six weeks away. I love how Zamperla/CAI has been reinventing Coney Island History. A look through their Facebook page by someone unfamiliar with Coney Island would think they were the Original Luna Park. While I like the nod to Coney past, I do wish they’d come up with something original to show their love and cement their name in the future. Why Club Atlantis? Why not Club Zamperla? Bogframe, why don’t you buy or lease some land and lets see what others think of what you do with it? Maybe you could open a wine store since all you seem to do is WHINE all the time!! Re the revival of old Coney names and the theming, there’s a word recently coined by writer Alexandria Symonds that comes to mind: Authentrification: Noun: In a quest for authenticity, seizing on elements that represent the area’s past and repurposing them as a design scheme. suoylit, if I had that kind of money I would, and I’d have the integrity to give it its own name, not one piggybacked onto someone else’s work.. What you call “whining”, I call protesting the loss of history and the re-invention of history to make something new seem like an extension of something truly grand from out glorious past. Slapping a “Tillie” on a ride doesn’t make it authentically Coney.